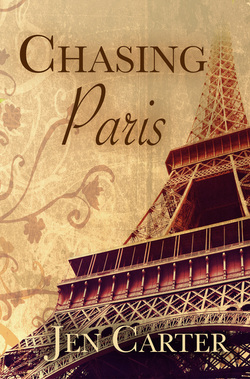 Chasing Paris is the break-out novel written by San Jose native, Jen Carter, who now resides in the San Diego area. In this story, Amy Winthrow is shocked when her grandmother dies--not because Elizabeth Hathaway’s death is unexpected but because her existence had always been hidden. Ever-inquisitive and prone to letting her imagination get the best of her, Amy embarks upon a journey with an unlikely friend to unravel the mysteries of the elusive Lizzie Hathaway. As she follows the trail of broken dreams and promises of her grandmother’s life, Amy finds herself on a path of accidental self-discovery—​a path that she chases all the way to Paris where Lizzie’s story ends and Amy’s begins.